To deliver is our business. We not just deliver goods, but rather solutions and long-term satisfaction for our customers. 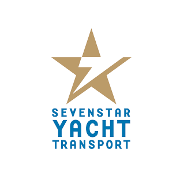 As a shipping and logistics company, we see our additional value for our customers besides the mere realisation of transport, above all in the development of successful transport concepts. To find here tailor-made solutions with an “out of the box” approach is our passion and mainspring. To know your goal eases to find the path. Our customers can concentrate on their core competences – because we concentrate on logistics! With our comprehensive logistic services and effective transport concepts we guarantee successful logistic solutions for our customers. We do not rest on the past successes, they rather are the inspiration for the future. Founding of United Lloyd Crewing GmbH & Co. KG as a service provider for crewing. We believe in teams, whose members trust each other.